This is a book about surviving, and thriving, when something goes horribly wrong. It is a mixture of their story and God's story, and the way in which his has shaped theirs. This is not just a book for families and friends of special needs children, but for all who have been thrown a curve ball in life, and need to know how to lament, worship, pray and hope. 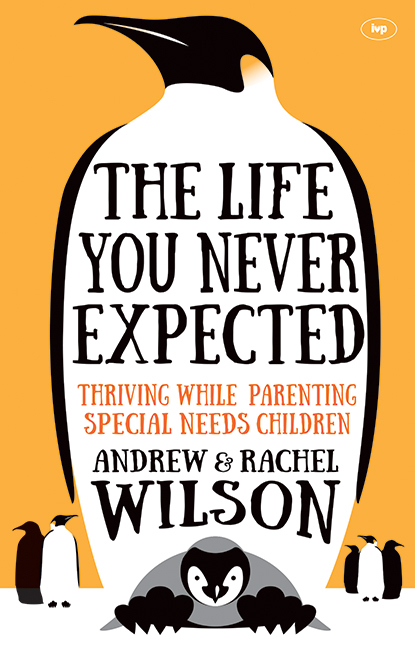 The Life You Never Expected by Andrew Wilson; Rachel Wilson was published by IVP in July 2015 and is our 4548th best seller. The ISBN for The Life You Never Expected is 9781783593521. Be the first to review The Life You Never Expected! Got a question? No problem! Just click here to ask us about The Life You Never Expected.